Carole Seddon has never enjoyed holidays much. Nevertheless, she has allowed herself to be persuaded by her friend Jude to accept a fortnight's free accommodation at a luxurious Turkish villa owned by Jude's property developer friend Barney Willingdon. But from the outset the holiday is marred by a series of menacing incidents: threatening messages daubed on the villa walls; and their host being accosted by a knife-wielding man at a local restaurant. As Carole and Jude launch into what they do best - investigating - it becomes clear that Barney Willingdon has made plenty of enemies, with his ruthless business deals and complicated love life. 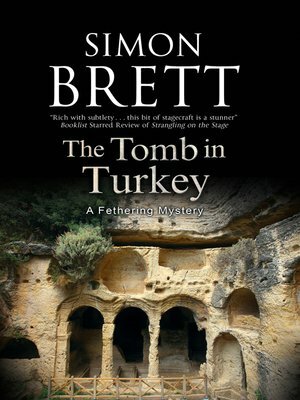 Matters come to a head when Carole's sightseeing trip to nearby Pinara is curtailed by the discovery of a body in one of the ancient Lycian tombs. And what really did happen to Barney's first wife, Zoe?